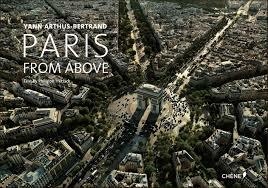 French photographer Yann Arthus-Bertrand has created a fantastic book and video of imagery taken of Paris from a helicopter above the city. It’s breath taking! All of the major sights and monuments are included, and the wonderful imagery is set to classic Fnrech music by Jacques Brel, Grand Corps Malade and the incomparable Edith Piaf. Definitely take a look at the video! If you’re like me, you’ll soon be day dreaming about your next visit to the glorious City of Light! This entry was posted in Sight-seeing and tagged iconic landmarks, landmarks, monuments, Paris from Above, sight-seeing by Bob Adams. Bookmark the permalink.